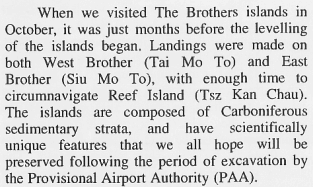 Tymon Mellor has pointed us in the direction of an article which includes information about West Brother Graphite Mine published after a field trip to both Brother Islands and Chek Lap Kok in October 1992. 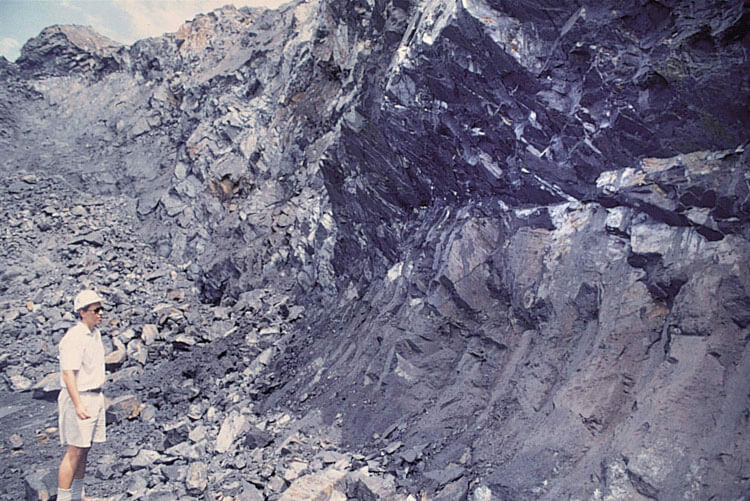 Just before then the construction of the airport which irrevocably changed all three including much of the mine’s above surface structures and tailings. 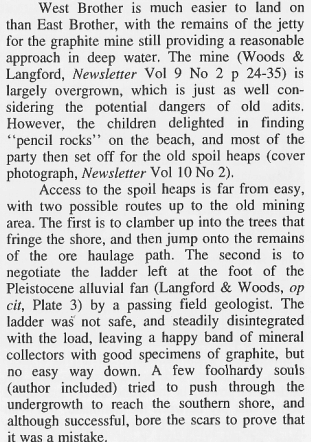 The report, titled, Farewell to the Brothers, was published in the Geological Society of Hong Kong Newsletter Vol 10 No 4, pp 17-19, 1992 and was written by R L Langford.